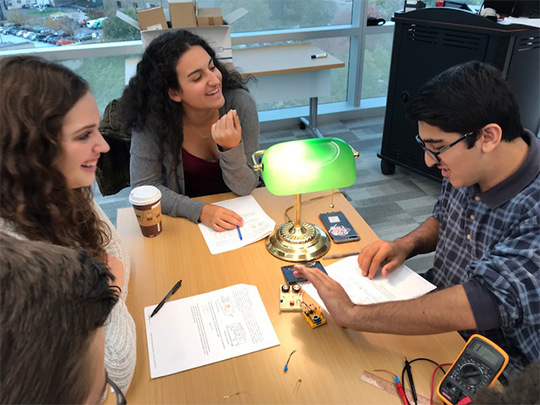 High school students from the Allegheny County Intermediate Unit’s Apprenticeship program build solar-powered Theremins. To connect with us, please fill out the form below. The more comprehensive the information you provide, the more likely we will be able to help you with what you're looking for. Once we receive your form, Deborah Lange, Director of Special Environmental Projects with the Steinbrenner Institute or Kelly McQuoid, Senior Director of Strategic Programs and Special Projects for the College of Engineering Dean's Office will respond to your request as soon as possible.